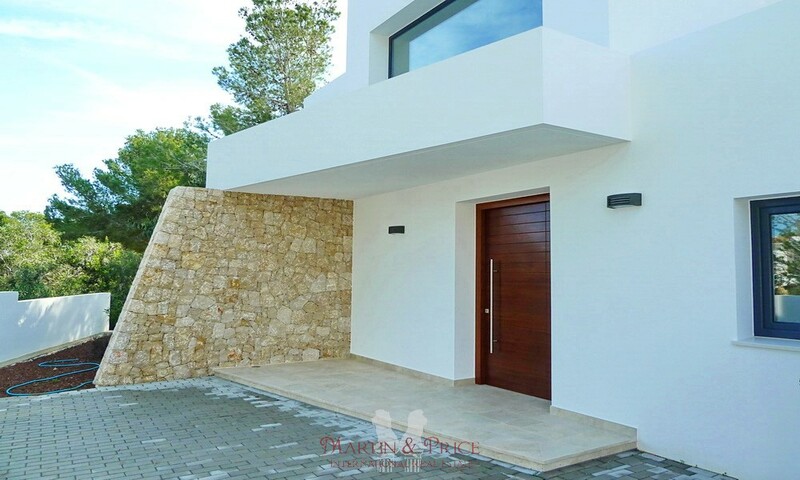 The magnificent architectural design of this villa gives the property a unique character. 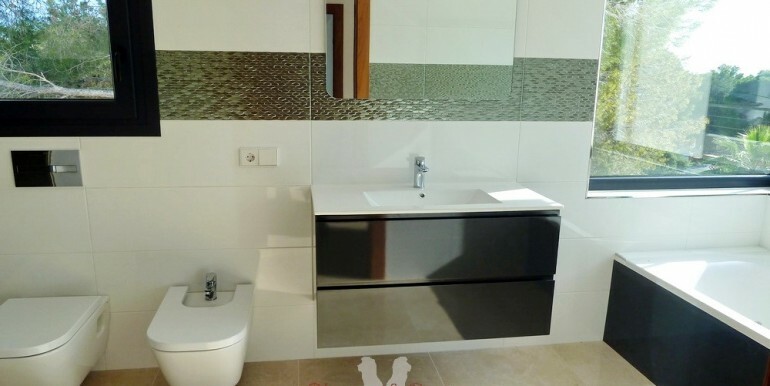 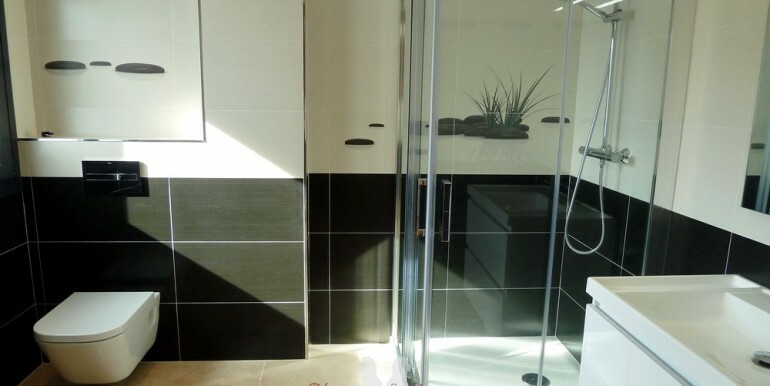 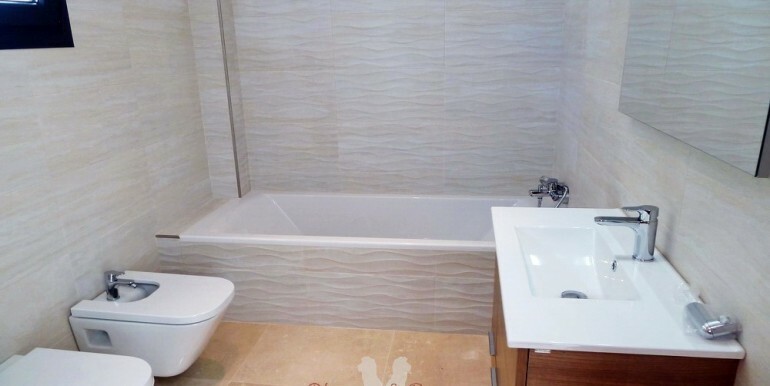 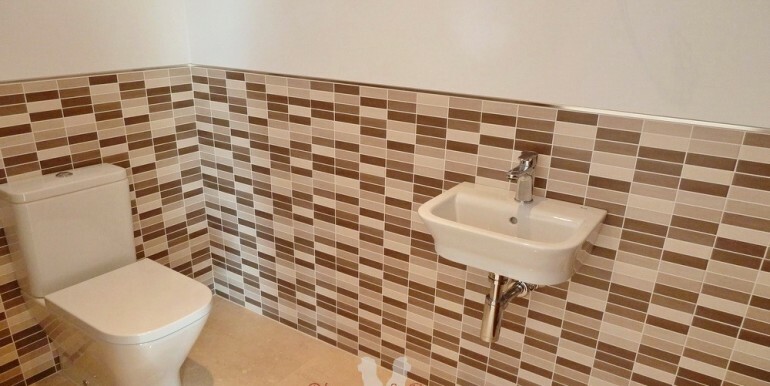 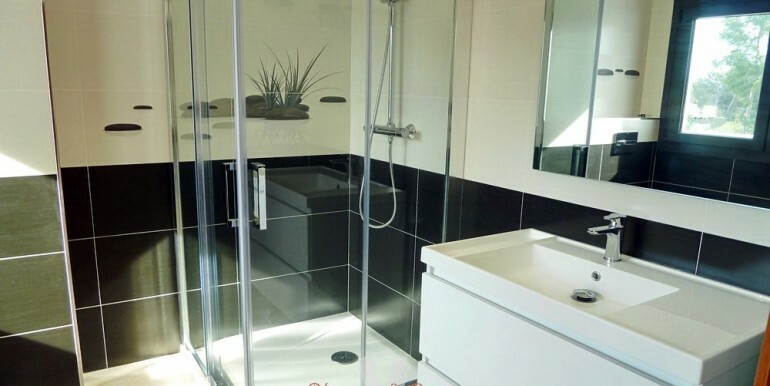 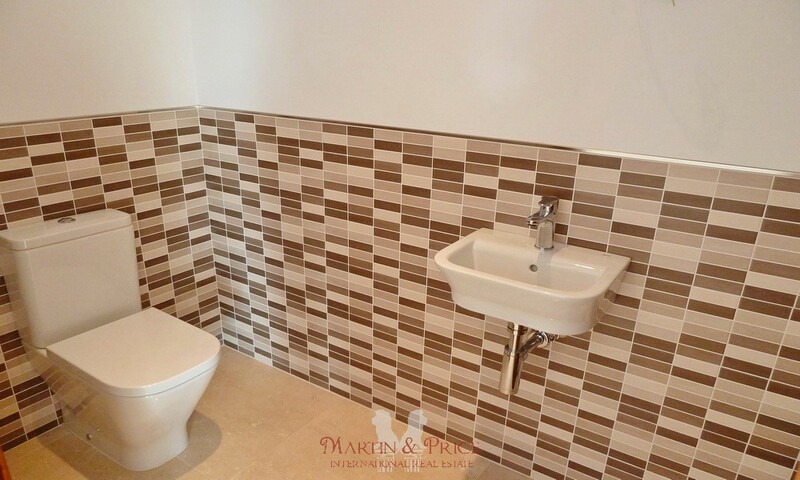 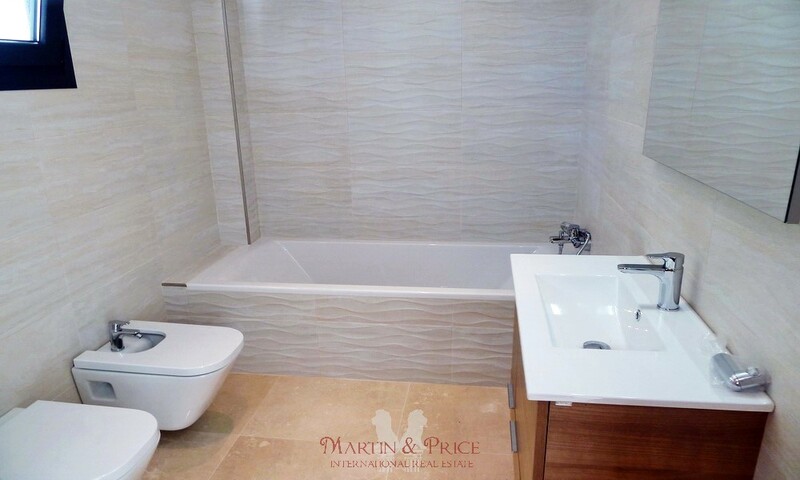 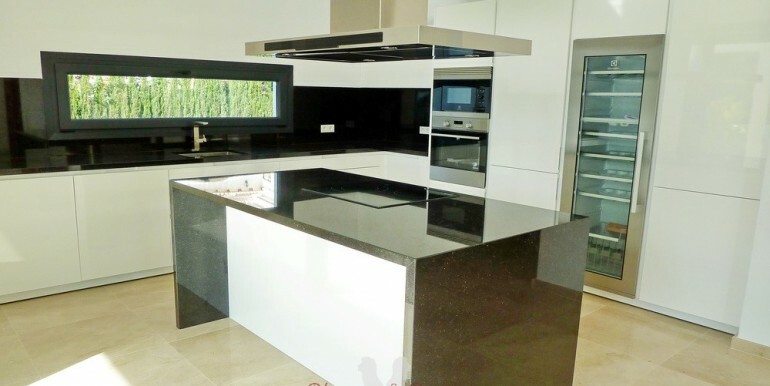 It has been built using the latest techniques and top quality materials with a great attention to detail. 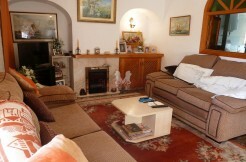 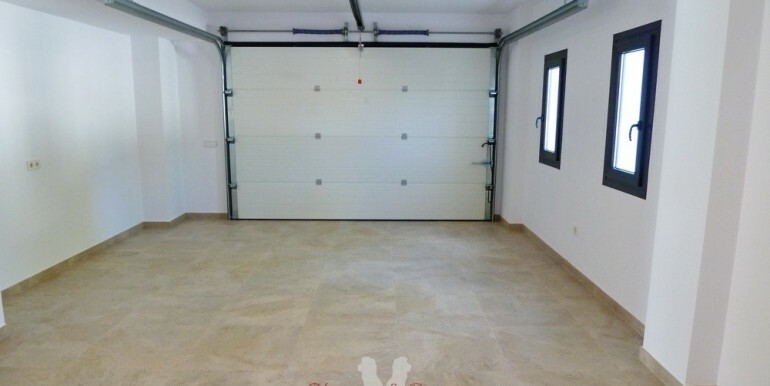 The property consists of three levels including a large basement. 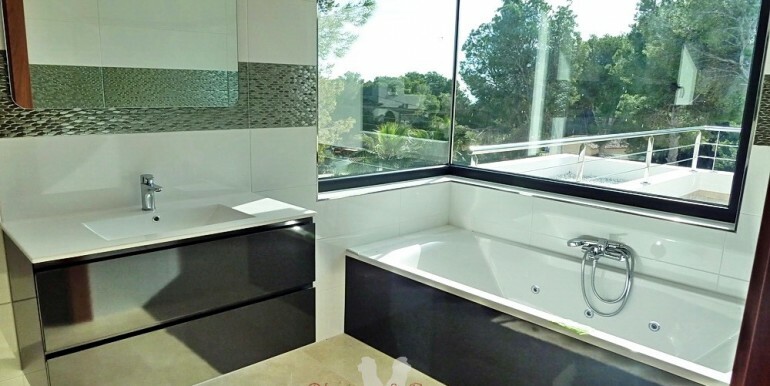 The large windows offer wide open spaces while letting the natural light flood in. 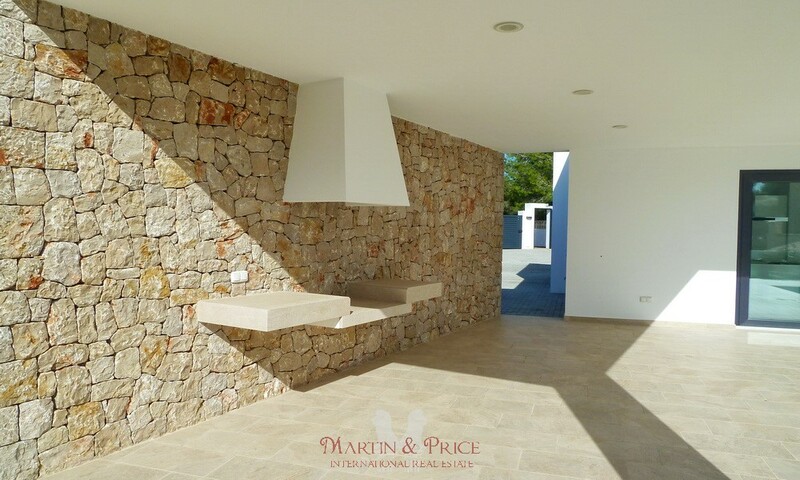 The entrance hall leads into a spacious bright living room with fireplace that opens onto a large outdoor terrace of 120m², 12×5 swimming pool and a fantastic barbecue built into a natural stone wall. 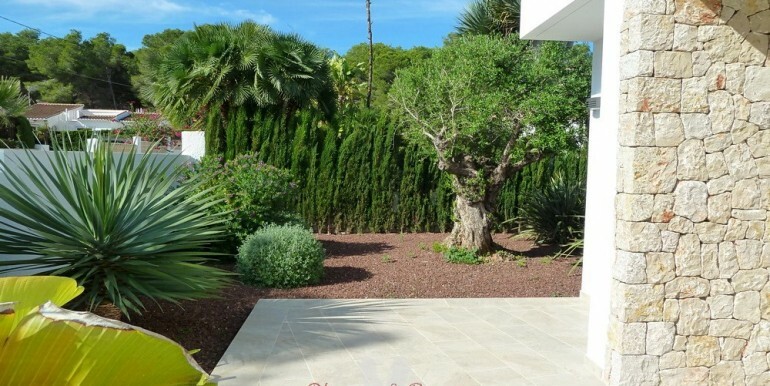 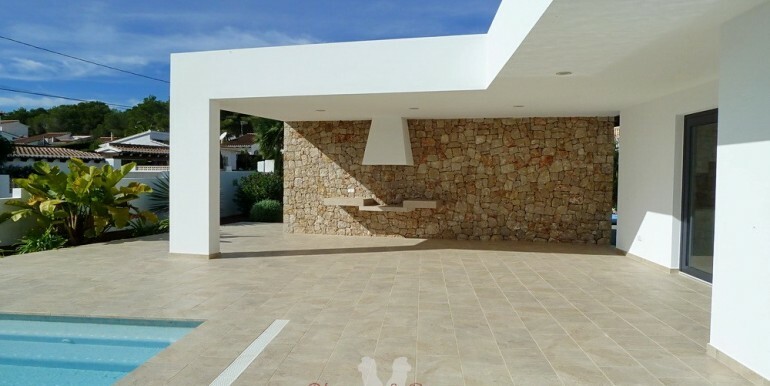 Outside there is also a bathroom with shower for the pool and a large garden area. 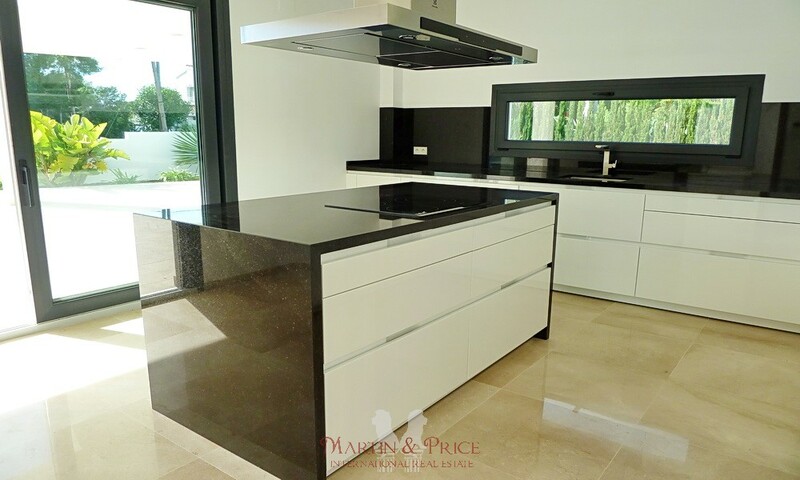 The kitchen is fully furnished and equipped with top end appliances including a large center island. 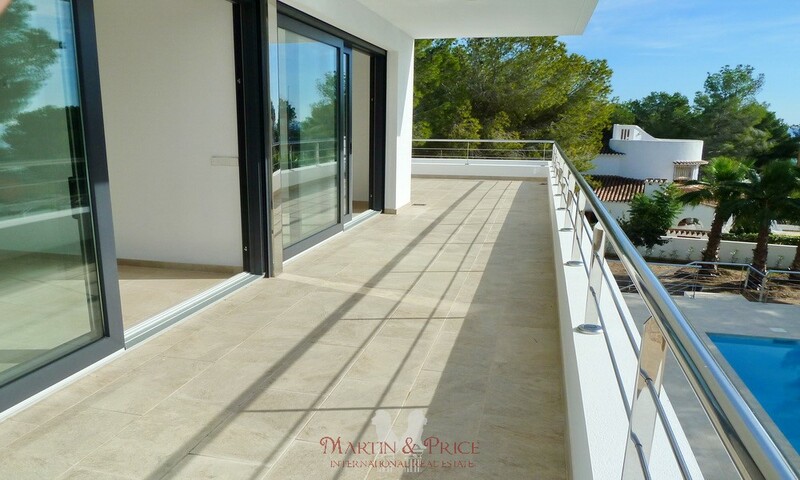 It can be accessed from the living room through a double sliding door and a separate exit to the outside barbecue area. 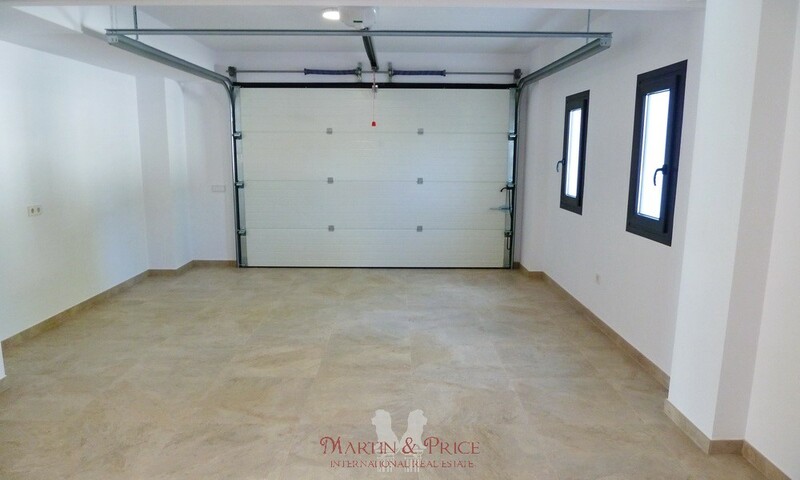 On this level there are two master bedrooms with en suite, a toilet, laundry area and garage with direct access to the house. 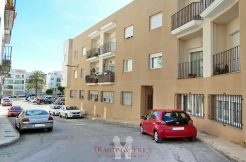 There is also parking for several cars within the plot. 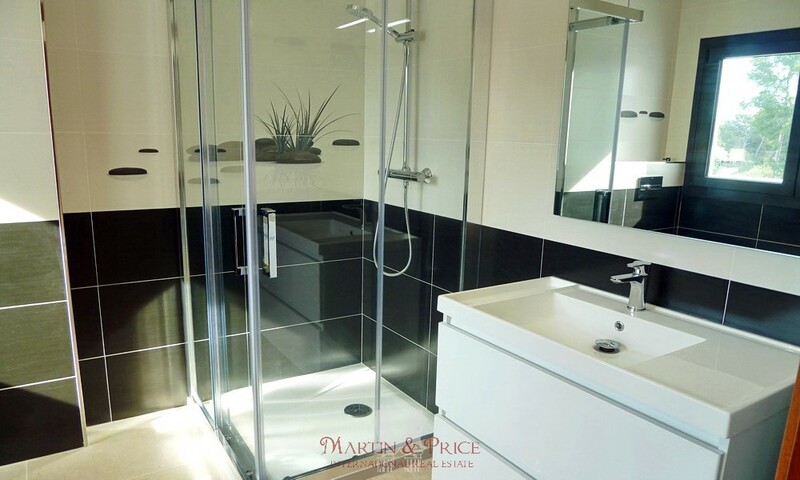 Upstairs there are two further fantastic master bedrooms both with en suite, one of the en suites have a Jacuzzi bath and separate double shower. 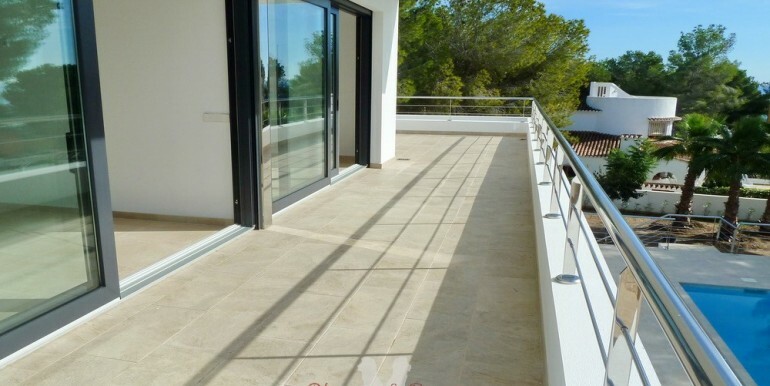 Both bedrooms lead onto the terrace. 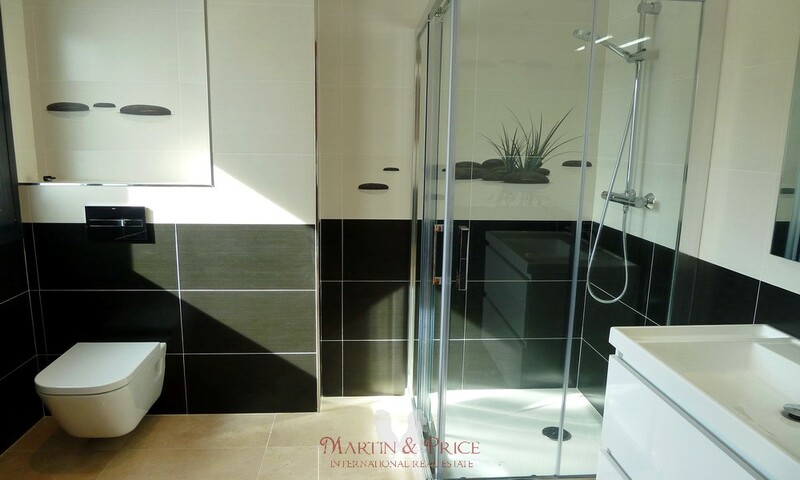 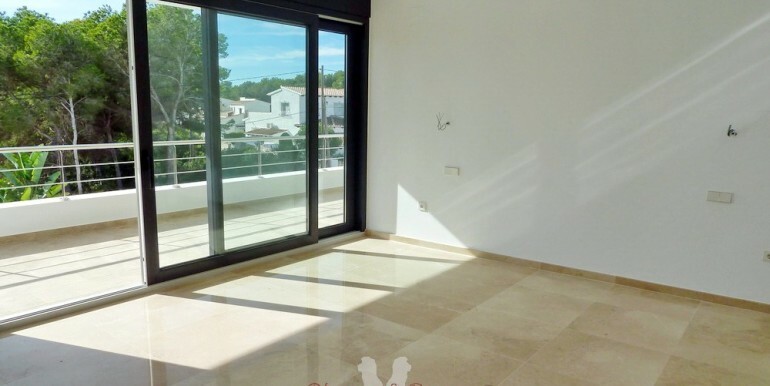 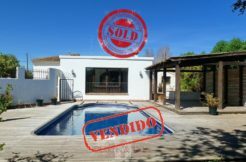 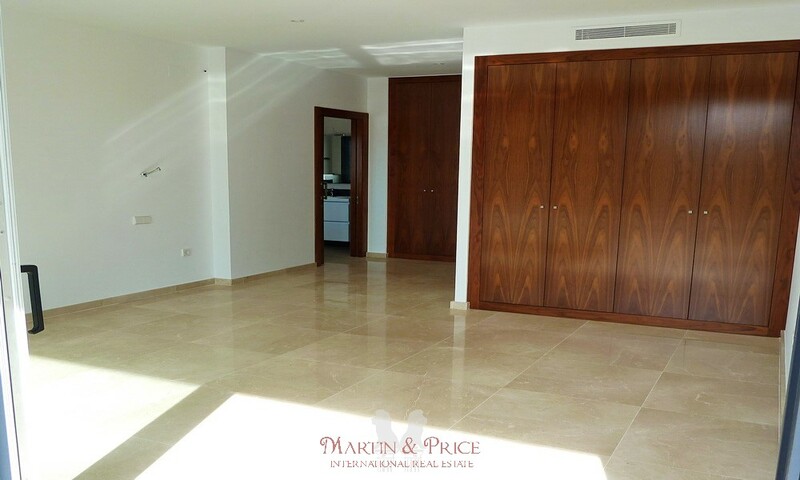 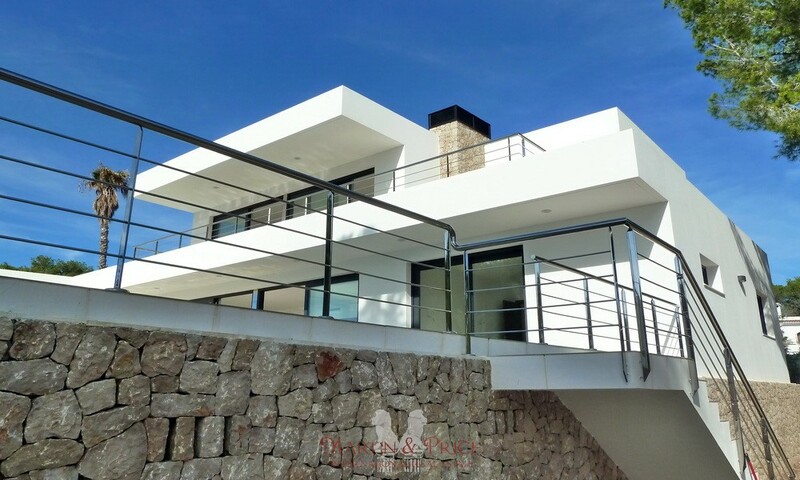 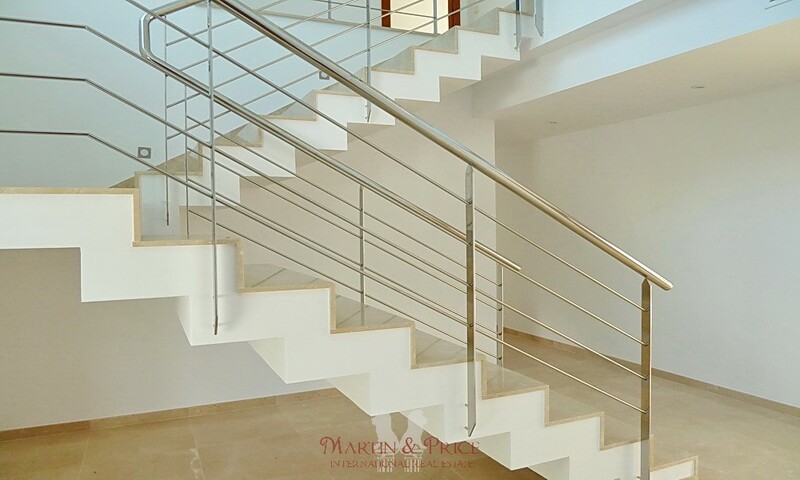 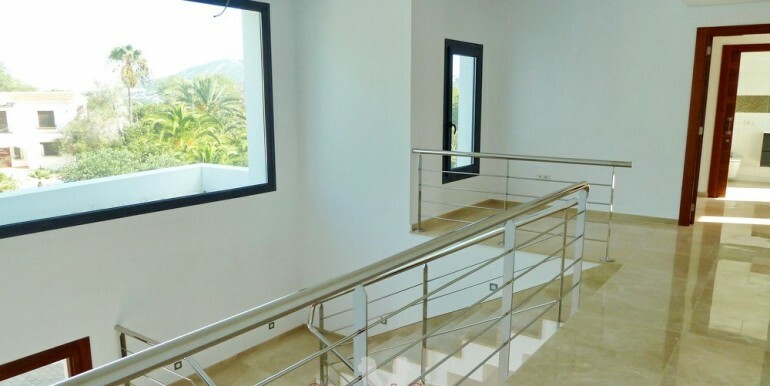 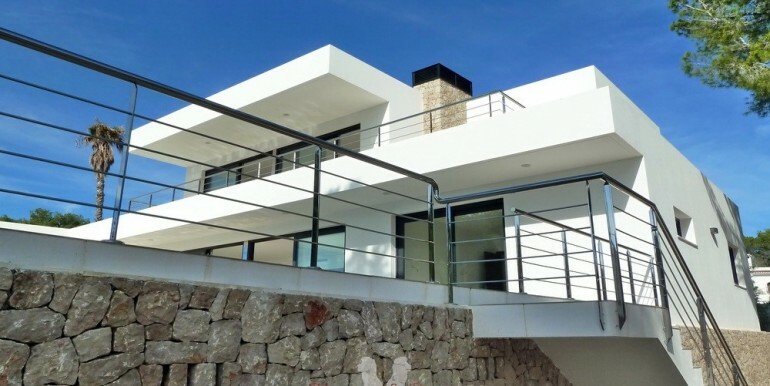 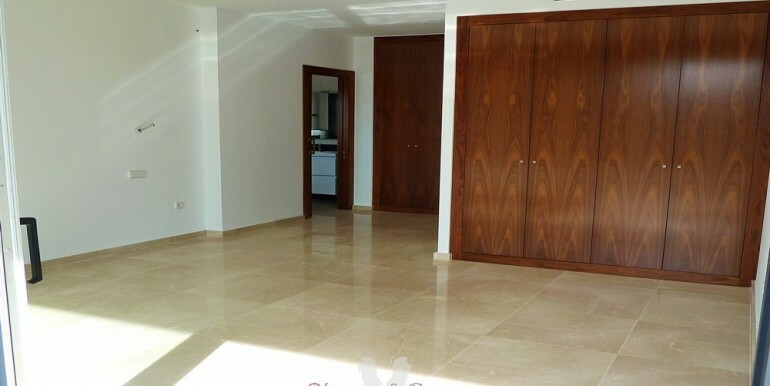 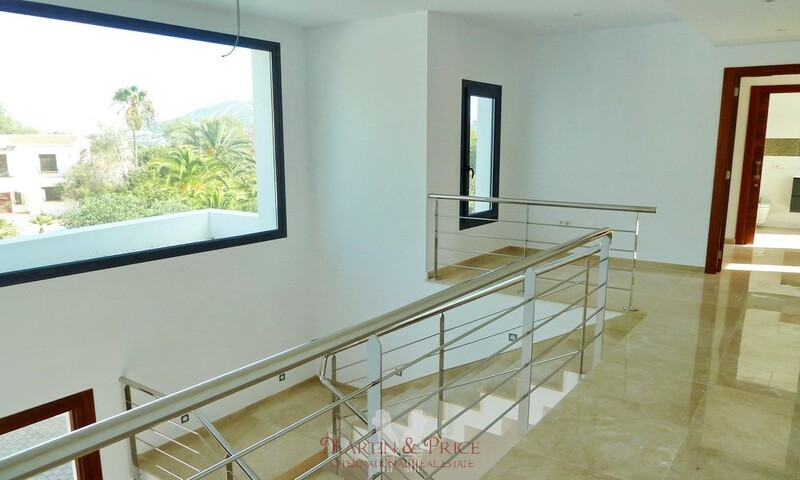 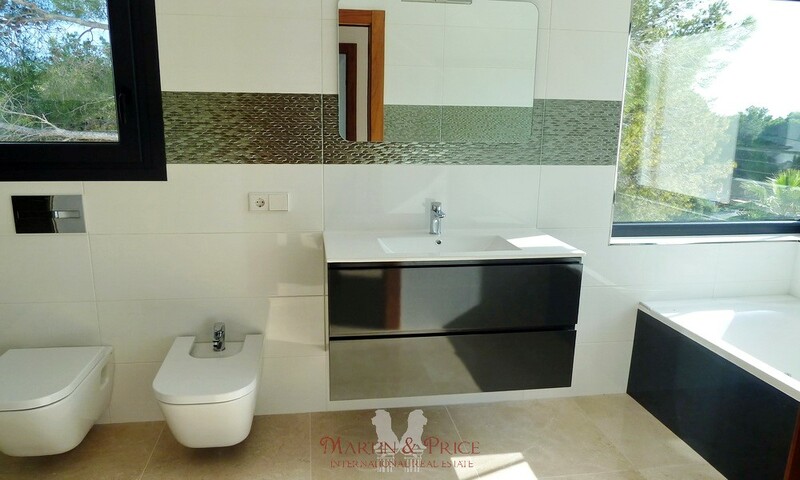 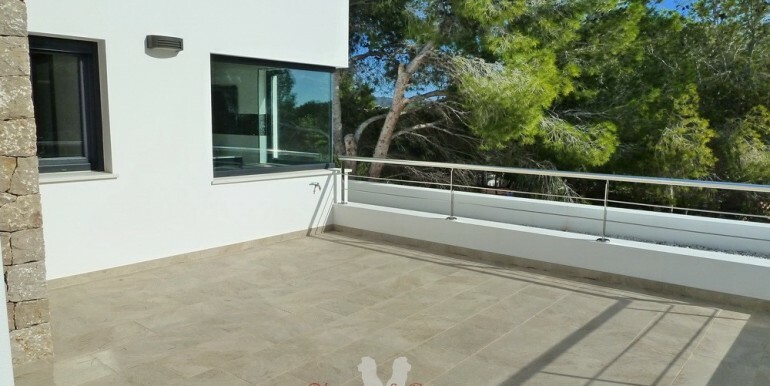 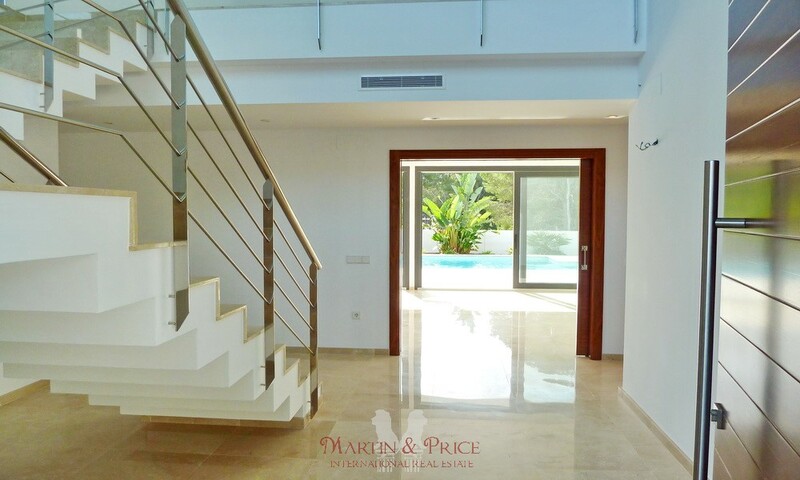 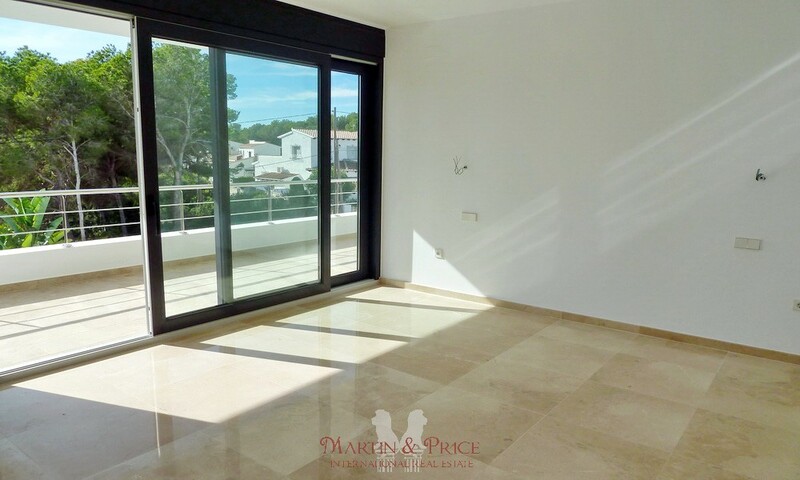 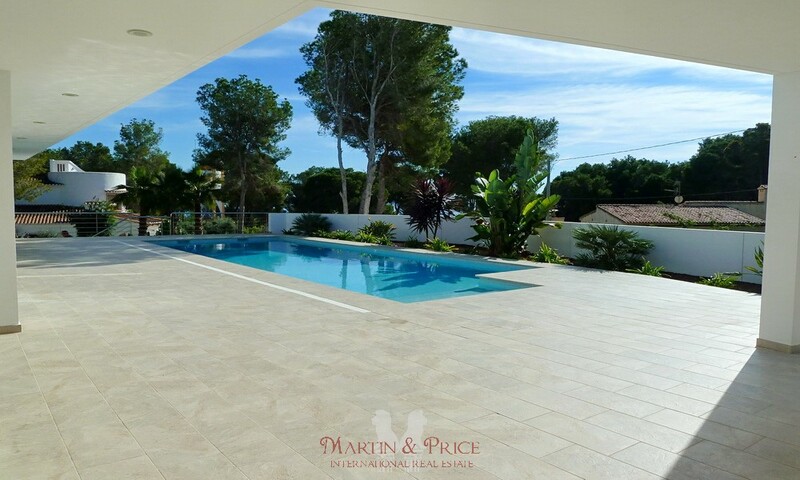 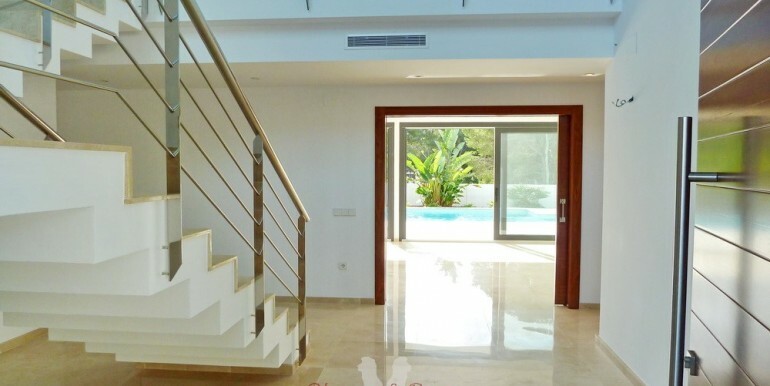 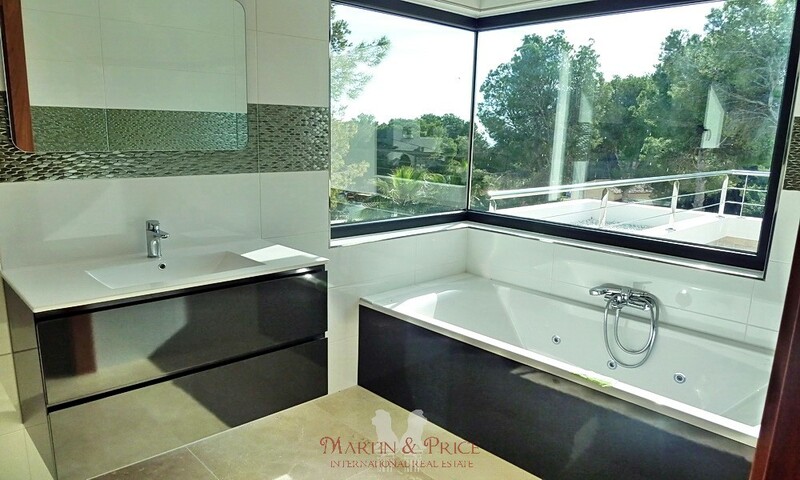 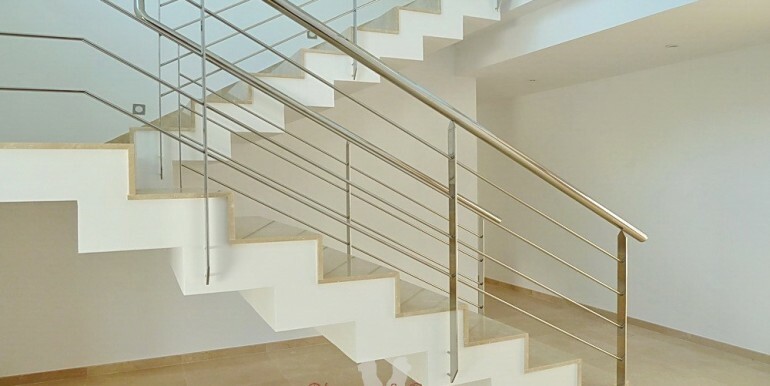 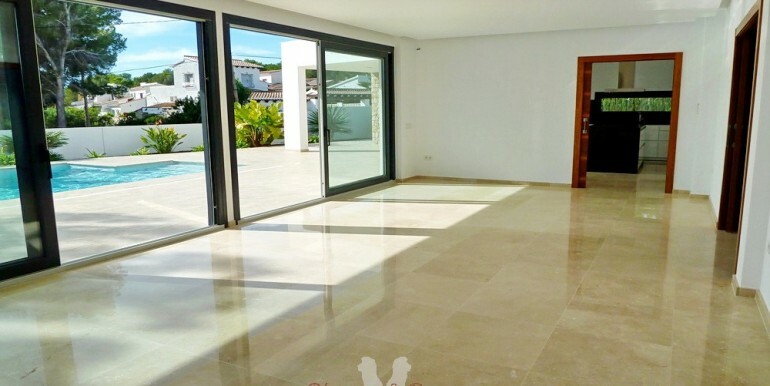 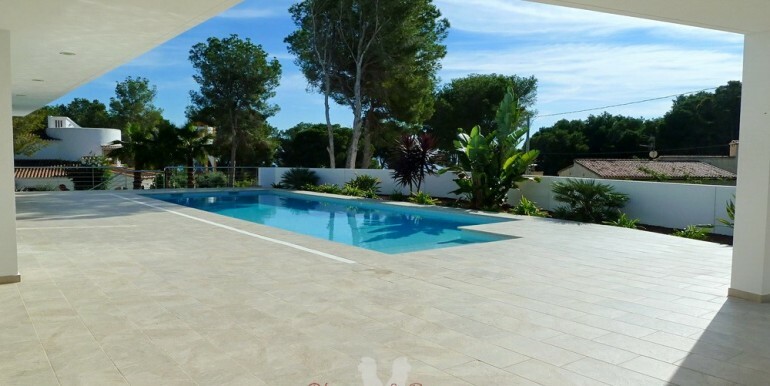 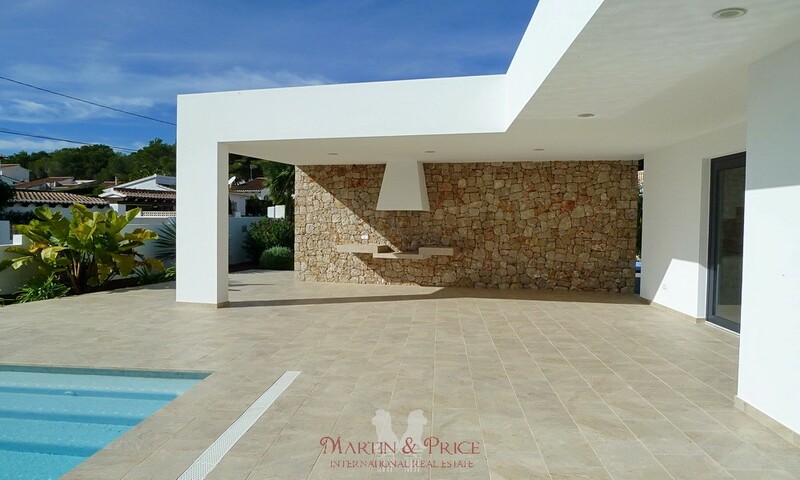 The house has marble floors throughout, under floor central heating, ducted air conditioning, stainless steel railings, windows with safety glass, electric shutters, pre-installation for swimming pool heating and more extras. 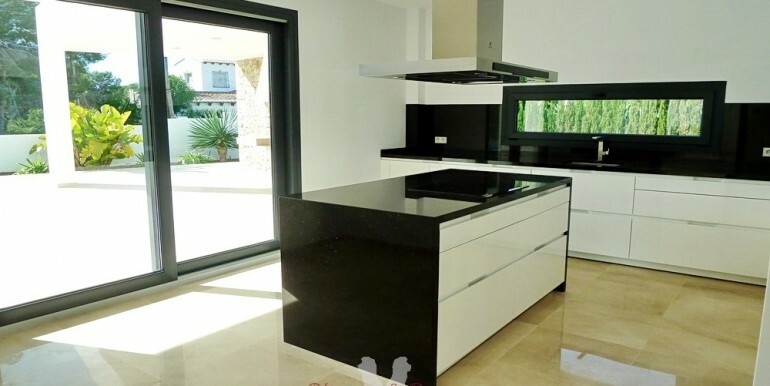 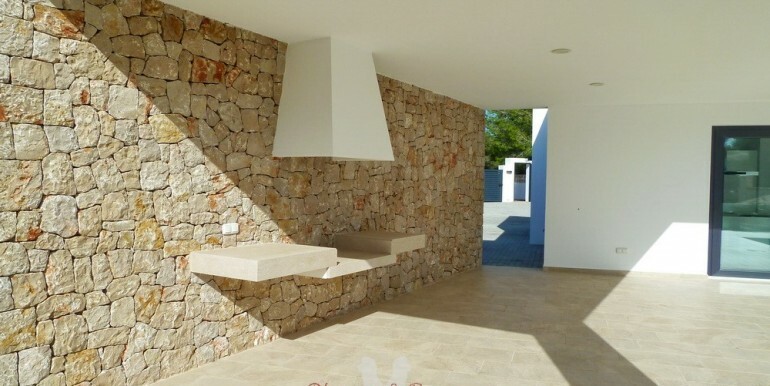 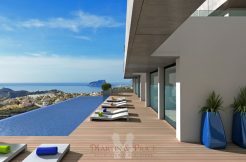 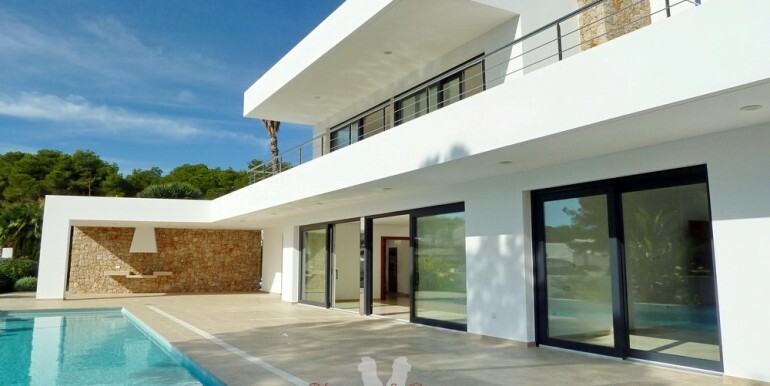 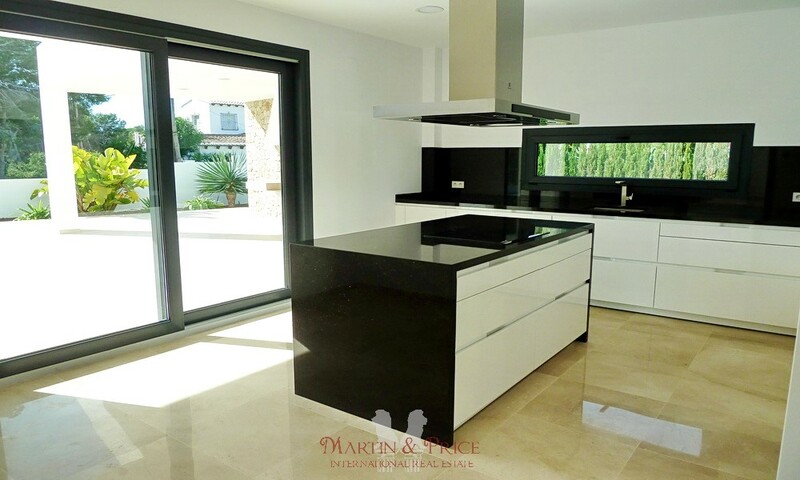 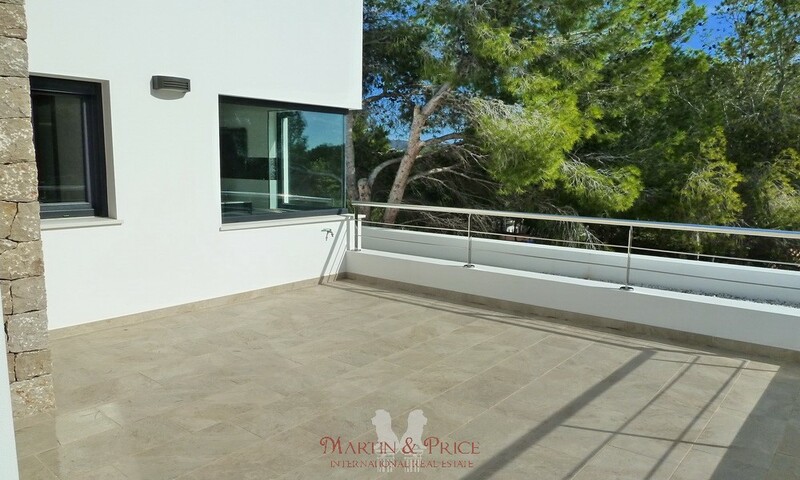 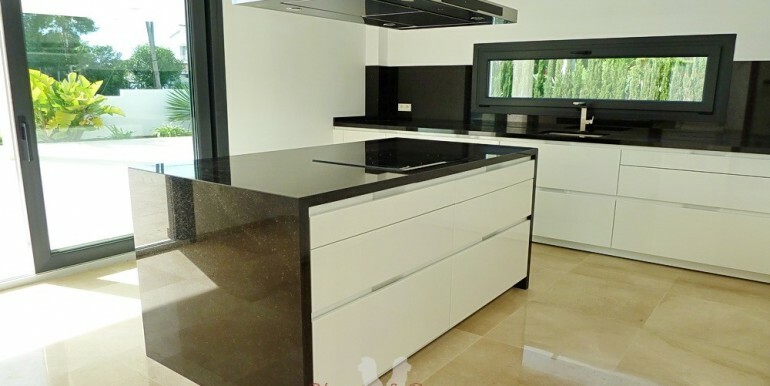 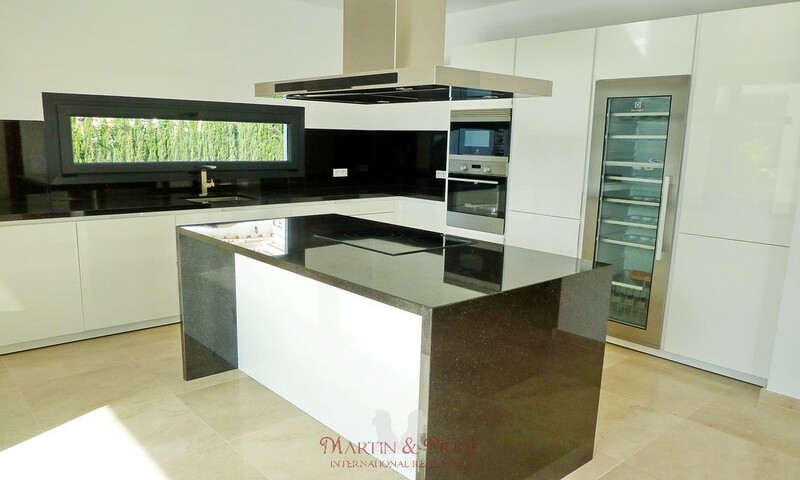 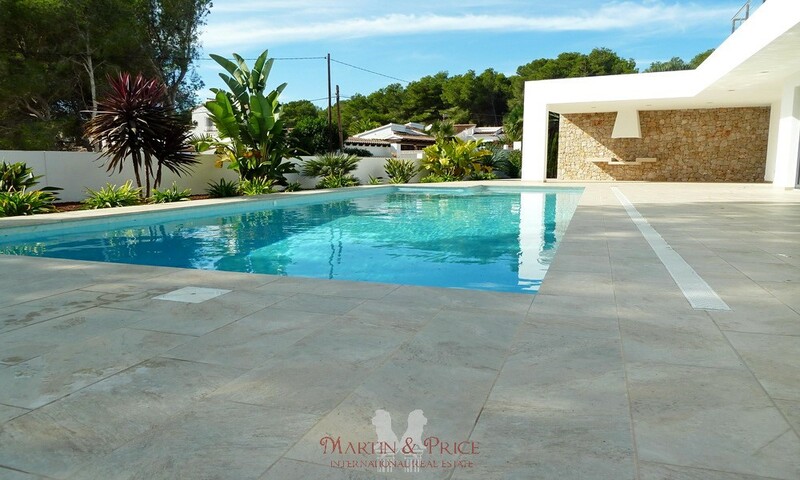 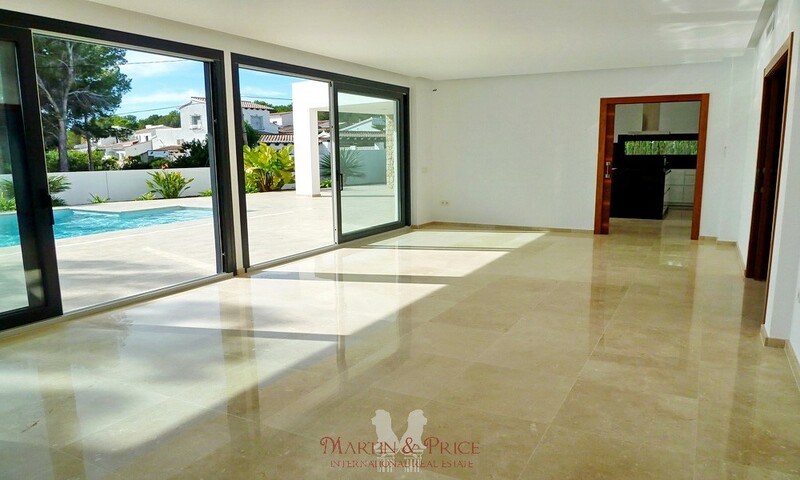 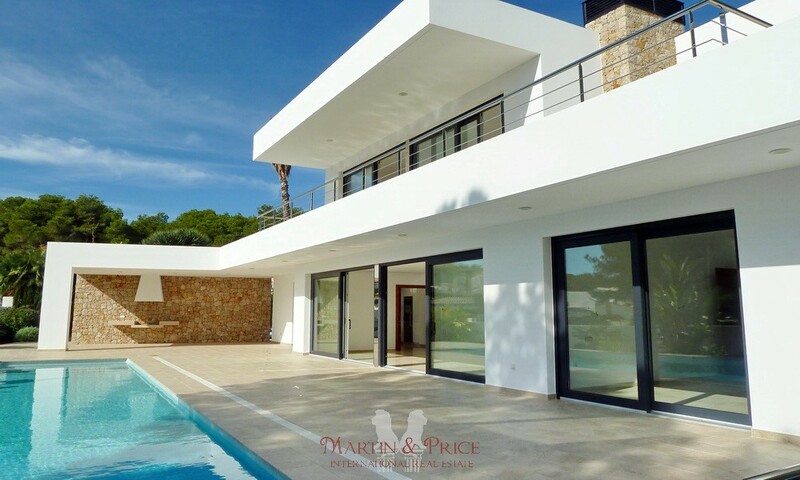 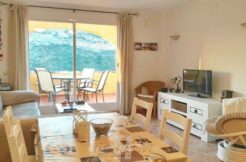 This unique property is in a prime location within walking distance to the beach and the village of Moraira, with its typical Mediterranean streets, bars, shops and restaurants and the beautiful marina. 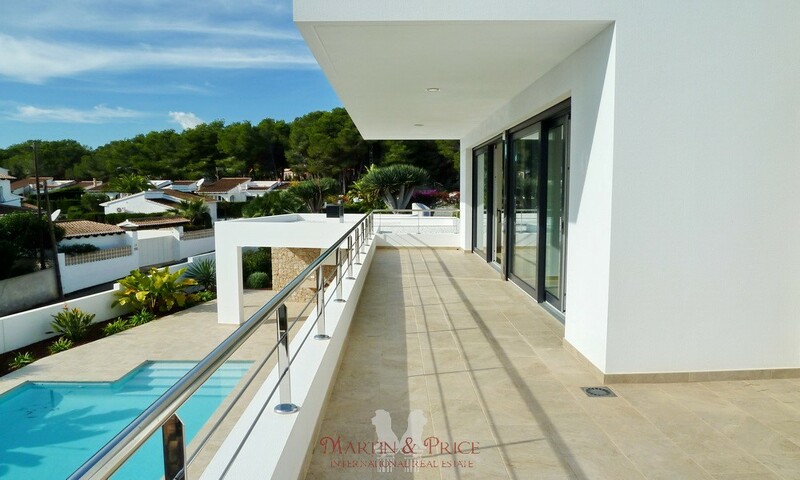 In the surroundings areas you can enjoy many outdoor activities, with hiking trails, golf courses and beautiful areas for sailing, snorkling or diving. 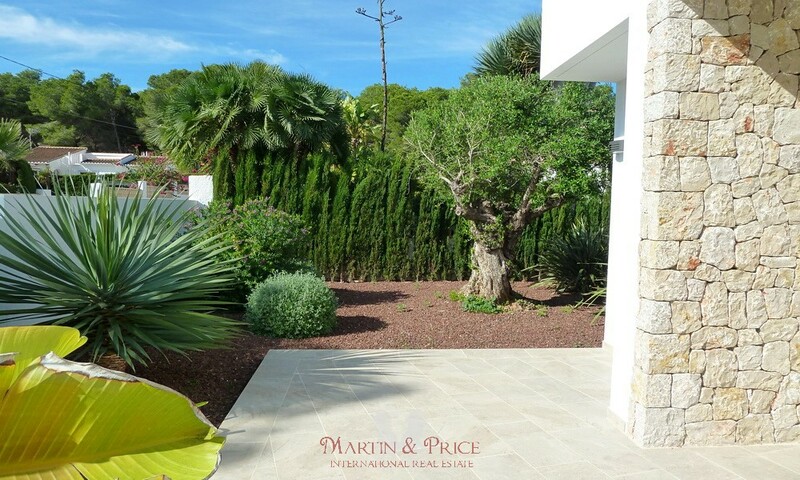 An exceptional property in a privileged location!